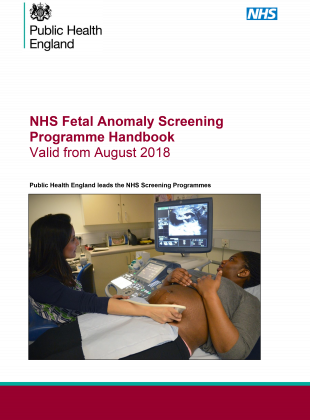 We have updated our national guidance for healthcare professionals who provide fetal anomaly screening services. 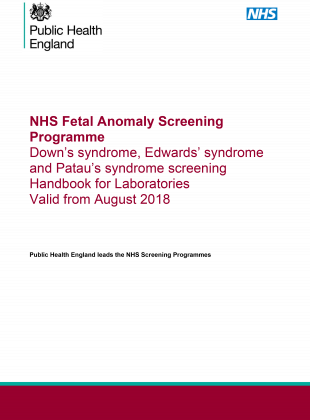 The NHS Fetal Anomaly Screening Programme (FASP) handbook and the FASP handbook for laboratories help make sure services meet national standards. Both updated handbooks feature executive summaries which give a quick overview of the contents. We have updated the glossaries and embedded links to related information throughout, making the documents simpler to navigate and shorter than their predecessors. We have also used plain English principles to make them easier to read. The updated programme handbook includes up-to-date data on miscarriage rates following diagnostic testing. We have clarified guidance regarding the QF-PCR (quantitative fluorescence-polymerase chain reaction) laboratory technique result from a chorionic villus sample (CVS) diagnostic test which indicates a baby may be affected by Down’s syndrome, Edwards’ syndrome or Patau’s syndrome. We now recommend that the culture result should be used to confirm the QF-PCR result before any decisions are made regarding ongoing care or termination of the pregnancy. The biggest update to the handbook for laboratories is the addition of information about the UK Accreditation Service (UKAS). UKAS is the UK’s national accreditation body responsible for assuring the technical competence and integrity of laboratories that offer testing, calibration and certification services comply with set standards. Medical laboratory accreditation (ISO 15189) is a particularly important standard for fetal anomaly screening. Please send any queries, suggestions or feedback about the updated handbooks to the PHE Screening helpdesk.